In classrooms around the world, teachers sometimes struggle to devise lessons that cater to all three learning styles. As such, as is the case in other facets of life, technological aid has come to the rescue. Facilitating what is known as interactive learning, technology-infused classrooms, particularly those using digital whiteboards, have increasingly become the norm. As a result, lessons are now more engaging than ever, and the benefits of interactive learning are readily apparent. Interactive learning is an all-encompassing approach to education. By emphasizing student engagement with new material, interactive class structures are much more holistic. Classes that embrace interactive learning are less about regurgitating information and more about discussions, critical thinking, and open-ended questioning. As such, students with all manner of learning requirements are accommodated. How is interactive learning commonly implemented? Interactive learning is not something that classrooms can adapt to overnight, in that it requires adaption on the part of both teachers and students. As part of that undertaking, all involved must get used to a more flexible and open-ended classroom process, complete with collaboration, freedom of choice, and adaptive course correction. Student-to-student collaboration is the best way to facilitate learning. Regardless of the subject, students are proven to learn more efficiently when doing so in a collaborative setting. This doesn’t necessarily mean group work or presentations, but also a quick consultation before answering a question or the use of online tools after class. In the context of interactive learning, there is no single correct way to complete an assignment/project. Therein, students are encouraged to select a method that best suits their style of learning. From some, essay writing may be the way to go, while others may opt to make videos or construct presentations. The student-teacher dynamic, as well as the much-vaunted lesson plan, was once unassailable and resolute in its rigidity. Interactive learning's emphasis on a hands-on approach has forced teachers to open up their process to their students. As such, the resultant inherent feedback allows for constant course correction and improvement on both sides. Why is interactive learning important? The importance of interactive learning goes well beyond that of a single aspect, whether it be class size, age group, subject, or style. In fact, as is the point, there is no barrier associated with interactivity. Considering this universal nature of the interactive learning, its important tenets hold true for every situation. Imagine teachers droning and students sleeping. You shouldn't, since nothing about education should be so passive. Interactive learning, complete with student-to-student interactions and hands-on lessons may result in a 60% uptick in student engagement. This process commonly manifests as an alternative knowledge demonstration, such as paraphrasing, as opposed to pure fact repetition. Recall that students everywhere ask themselves, “When will I actually use this?”. Although reductive, this saying indicates a trend that has seen curriculums shift focus from life-skills to college preparation. With interactive learning, however, teachers are able to integrate real-life applications of the subject matter by way of online tools and supplements. For a long time, teachers were limited by a school’s resources and the contents of the textbook. That is no longer the case! With interactive learning and the availability of relevant technology, teachers may now create varying lesson plans that cater to different learning styles and offer contingencies based on student engagement. What are the challenges of interactive learning? For all its importance and positive attributes, interactive learning possesses its own set of inherent challenges as well. Far from a bad thing, these challenges are largely associated with the technological aspect of the approach. This is especially true on the side of the teacher, as opposed to that of the students. Anyone who has ever interacted with technological products has probably suffered technical breakdowns and glitches. There's nothing more annoying than something not working the way it should, and interactive learning technology, such as digital whiteboards, are no exception. This is especially the case when classes are disrupted due to IT wait times. Interactive lesson plans, particularly those using digital whiteboards, do not pop into existence. Teachers will commonly exceed allotted planning time in order to make sure that everything is adequately prepared. Beyond planning, interactive learning and its associated technology require training and time to get used to it, which is often not optimal. Classroom sizes are usually larger than is optimal. Combined with the tendency of whiteboards to be smaller than required, visibility could become an issue. While this is possible in any situation, it becomes more critical in classes involving interactive learning and digital whiteboards, especially when the latter is the lesson's focal point. What are the benefits of interactive learning? Challenges of the technology aside, interactive learning’s benefits outweigh all else. There is no situation where regurgitation of facts, as well as other variants of passive learning, is preferable to, or more beneficial than, interactive learning. Distilled down to its essence, the benefits of interactive learning involve adaptability, cost savings, and fun. The mark of any good lesson is the ability to adapt. If an activity is not going well, then the teacher should be able to change course at a whim. In the case of interactive learning, teachers’ capabilities are expanded, particularly to include video and audio outlets that were not possible previously. Resource management is an unfortunate burden placed on too many teachers around the world. Proper lesson planning may be disrupted by concerns of supply shortages. 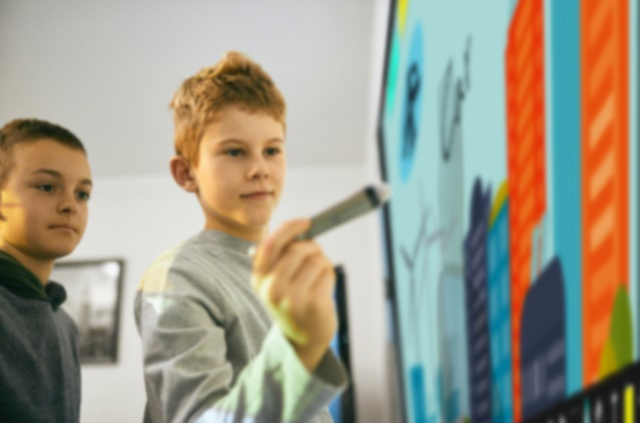 As is the case with interactive learning technology, particularly when digital whiteboards are implemented, the education processes may become largely digitized. Therefore, supply concerns can be extinguished. 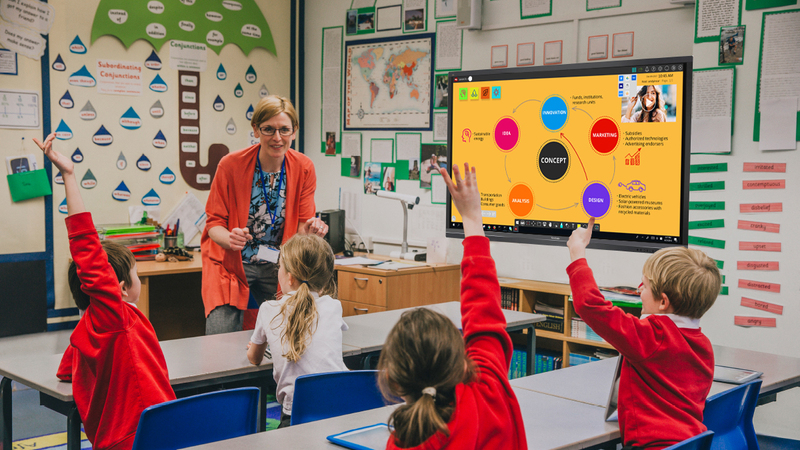 Combined with its ability to bolster engagement, collaboration, and motivation, the introduction of interactive learning into the classroom should be nothing short of fun! With boring lectures done away with, teachers have the opportunity to turn everything into a game and foster a fun and enjoyable classroom environment. Let the games begin! What are tools that utilize interactive learning? Lest you might be thinking that interactive learning is purely theoretical, worry not! Nearly every major technology company has invested in what has become known as ‘edtech’, or education technology. 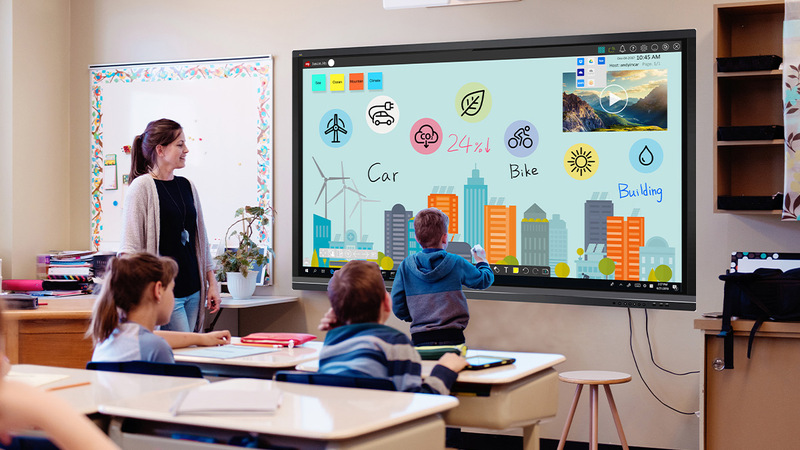 While ViewSonic’s ViewBoard and ViewBoard S are great for classrooms everywhere, their integrated software, MyViewBoard, is truly what sets the company apart.